NOW AVAILABLE IN A RESTORED 2K FULL VERSION! Jacques Rivette, co-founder of the French New Wave along with Jean-Luc Godard, François Truffaut, Éric Rohmer and Claude Chabrol, has always been that group’s most free-spirited and aesthetically radical member. This is very much on display in Out 1, his fourth feature film and magnum opus, in which a whimsical young man (Jean-Pierre Léaud) receives anonymous notes that put him on the trail of a mysterious group of people who might or might not be conspirators. Based on an utterly unique concept that includes the absence of a script and nods to Honoré de Balzac and Lewis Carroll, Out 1 has been near-impossible to see for more than forty years. Both the complete eight-part series, Out 1: noli me tangere (1971), and the shorter theatrical version, Out 1: Spectre (1974), are offered here in newly restored 2K presentations supervised by the films’ director of photography, Pierre-William Glenn (Day for Night). The colorful characters that Léaud encounters during his quest are played by Juliet Berto, Michael Lonsdale, Bernadette Lafont, Bulle Ogier, Françoise Fabian, Jean-François Stévenin and other New Wave icons, with special appearances by directors Éric Rohmer and Barbet Schroeder. Out 1, an immensely involving, almost addictive blend of film, literature and theater, has rightly been hailed as the Holy Grail of modern French cinema! CARLOTTA FILMS US is absolutely thrilled to announce the full digital restoration and upcoming release of French New Wave director Jacques Rivette’s epic, legendary and iconoclastic masterpiece OUT 1, on all formats: in theaters, on a Special Collector’s Edition Box Set (Dual Format DVD/BD), and on VOD. Building on their precedent and succesful collaboration on DVD, Blu-ray and VOD (previous releases such as the two Léos Carax films, Boy Meets Girl and Mauvais Sang), CARLOTTA FILMS US and KINO LORBER are joining forces once more for this amazing event. When Jacques Rivette and his producer, Stéphane Tchalgadjieff, began the OUT 1 project, they did not set a time limit on the work. The final cut, divided into eight episodes, is 12 hours 55 minutes long and the ORTF (the national agency charged with providing public radio and television in France) refused to buy it, fearful of the extraordinary and unclassifiable nature of the film. OUT 1 was shown in its full working version at Le Havre in September 1971, which is now considered a legendary projection, but was shown neither in theaters nor television. Jacques Rivette spent the entirety of 1972 on editing another version of the film, reducing the running time to just over 4 hours. This cut of the film, called OUT 1 : Spectre, which proposes a different vision from the original film, was released in French cinemas in 1974. The public had to wait until 1989 for the long version to finally be shown in its entirety at the Rotterdam Film Festival, followed by various other European festivals, and finally on French and German television in the early 1990s. From this point on, the original film was called OUT 1: Noli Me Tangere, and was a slightly different cut from the version shown in 1971. 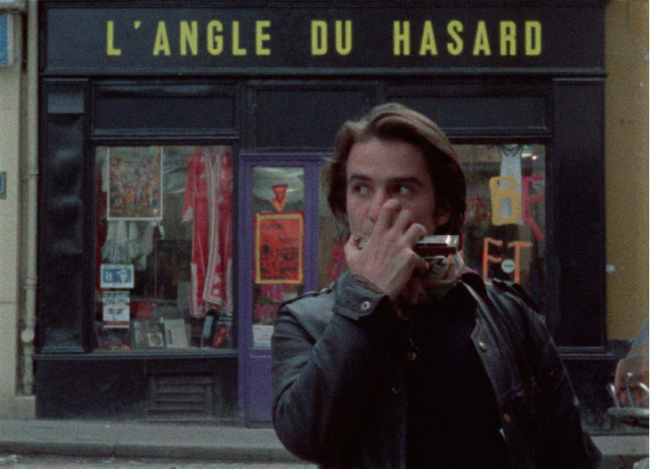 After this, Jacques Rivette’s monumental film virtually disappeared from the silver screen. OUT 1 has remained particularly rare and nearly invisible in its complete version since its creation. Restored in 2015, OUT 1 : Noli Me Tangere and OUT 1 : Spectre are finally available in 2K!! CARLOTTA FILMS US will release OUT 1: Noli me Tangere in its full 12-hour-55 minute original version, newly-restored and digitized for nationwide theatrical and home release. This legendary film, that has rarely been shown on the big screen and shrouded in mystery for decades, will finally get to be seen on the silver screen in both the U.S. and France, for a truly unique experience that many film-lovers have only dreamed of until now. The world premiere will be at BAMcinématek in NYC on November 4, 2015, where it will play for an unprecedented two-week run. We are excited about this special collaboration with BAM and see it as a perfect start for the US tour for OUT 1, as it will continue to be screened in theaters nationwide. Forty-five years after Out 1 was made, documentary filmmakers Robert Fischer and Wilfried Reichart interviewed cast and crew members and revisited some of the film’s most significant locations. The Mysteries of Paris features new contributions from actors Bulle Ogier, Michael Lonsdale and Hermine Karagheuz, cinematographer Pierre-William Glenn, assistant director Jean-François Stévenin and producer Stéphane Tchal Gadjieff, rare archival interviews with actors Jacques Doniol-Valcroze and Michel Delahaye and, most prominently, illuminating statements by director Jacques Rivette himself.